I get further and further behind schedule. This is going to be quick. Your feedback, as always, is encouraged. Week 50 covers December 11 – 17. 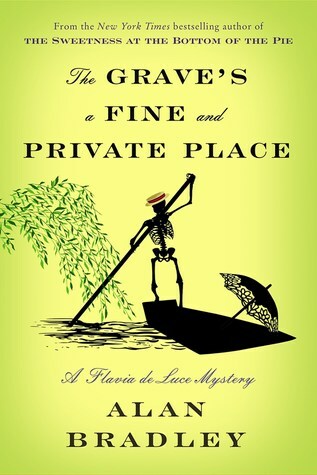 The Grave’s a Fine and Private Place by Alan Bradley – I received this as an e-book from the publisher via NetGalley. This is Flavia de Luce #9. I thought this was great. I love Flavia (and Dogger obviously). This is #9 in the series and it isn’t getting stale or boring. I love that she uses science to solve mysteries and would definitely recommend this to any young adult reader. They are also pretty fun and entertaining for adults as well. In this one, the girls are on holiday with Dogger when Flavia fishes a dead body out of the river. Of course they must stay and find out what happened. The sisters seem to become closer as they age, which I really like. They have been through some interesting endeavors over the years and this change seems obvious, but perhaps it is Flavia’s perception that has changed. I think this may call for a re-read. (Though she does start the first book locked inside a closet or something.) I’m giving it 4 stars. 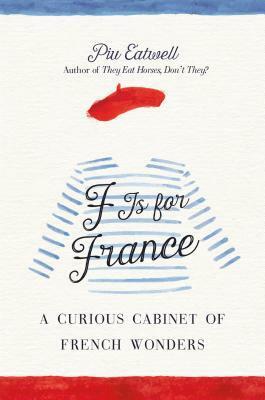 F Is for France by Piu Eatwell – I received this as an e-book from the publisher via Netgalley. This was a fun, quick read. The author clearly did quite a bit of research. The book hits on many aspects of French culture and serves as sort of an intro to some of the more quirky aspects. Knowing a lot about French culture going in, I’m not really sure I learned anything truly new, but I would recommend it for people that are less familiar with the country. I’m giving it 3 stars. 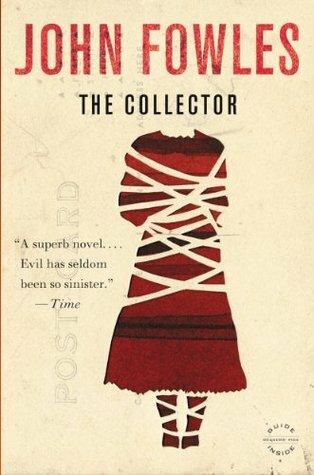 The Collector by John Fowles – I borrowed this as an e-book from the Boston Public Library. This is definitely a classic. I first heard about it on an episode of Criminla Minds. The first narrator is Frederick. He collects butterflies and takes photographs. When he wins the lottery, he buys a house in a remote area and converts the basement into a dungeon of sorts. And then he kidnaps the object of his affection and tries to make her love him which he is convinced she will eventually do. The second narrator is Miranda and she tells all of this from her perspective. It is so creepy. But it is so good at the same time. I’m giving it 4 stars. That’s it. I told you it was going to be quick. Read the Flavia series. Read The Collector if you haven’t (it came out in 1963, so I’m a little late to the party on this one). And there you have it. This entry was posted in What I Read and tagged Alan Bradley, Boston Public Library, Flavia de Luce, John Fowles, NetGalley, Piu Eatwell. Bookmark the permalink.